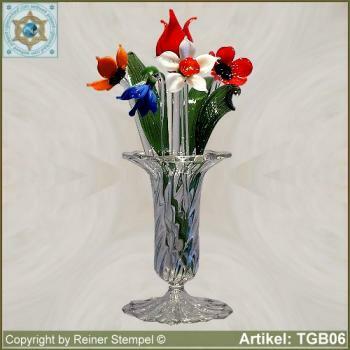 Main page » decorative glass » glass flowers » Glass flowers snowdrop bouquet Set 9-pc. Glass flowers snowdrop bouquet Set 9-pc. 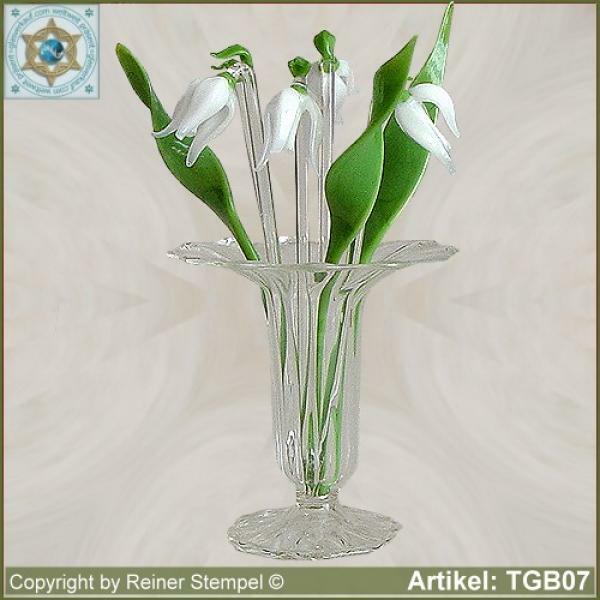 Our hand-made glass products glass flowers snowdrop bouquet Set 9-pc. 5 flowers, 3 leaves, 1 vase made of Lauschaer glass are manufactured with attention to detail the nature according to perceived. They are very decorative highlights to the eye of the beholder. Therefore they are very popular as a Glass decoration and always a good gift idea. Because of your shining colors, they bring a beautiful atmosphere to any room, specially in inclement weather.